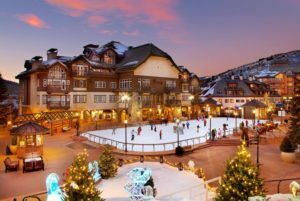 Heading to the famed Vail Valley for a relaxing vacation? Our Eagle County Sitters know the valley from East Vail all the way to Edwards. Vail Village, Lionshead, Eagle-Vail, Avon, Beaver Creek, Bachelor Gulch, Arrowhead and Cordillera, just to name a few! Want the kids to enjoy the great outdoors and active sports? Our Vail babysitters know all the top spots starting with the Nature Discovery Center at the top of the Vail gondola. Other options include ice skating year-round at the Dobson Arena, summer and winter fun at Adventure Ridge, and paddle boats, swimming and more at the Avon Rec Center. Parks abound, including Vail’s Pirate Ship Park. Hiking trails and bike paths are everywhere, with choices for all ages! Are you staying in Beaver Creek? Kid-friendly activities include guided hikes, a climbing wall, mini-golf, disc-golf, gemstone panning and outdoor skating. Many of our Vail babysitters call Avon and Beaver Creek home! puzzles, games and storytimes on Tuesdays and Wednesdays. With all these options, no wonder Vail Valley is just as fun for kids! REQUEST YOUR EAGLE COUNTY BABYSITTER NOW!